The Conquest of Elyria Returns! Are any Kingdoms going to be NPC led? So far there are no NPC kingdoms no. Hail to King Adam Rhyne of Vornair. All Hail King Adam Rhyne. Forever may he reign! When will we see info on Fortuna? I am interested there. As far as I am aware, the king of Fortuna just wants to enter the game blind and start the kingdom from there. So if you like the idea of starting in an unplanned structure on day one it may be for you. If you want lots of pre-planned neighbors and such other kingdoms are more of a match. Posted By **Zoaric** at 06:03 AM - Wed Nov 08 2017 > > > When will we see info on Fortuna? I am interested there. > > Thanks, > Zoaric As far as I am aware, the king of Fortuna just wants to enter the game blind and start the kingdom from there. So if you like the idea of starting in an unplanned structure on day one it may be for you. If you want lots of pre-planned neighbors and such other kingdoms are more of a match. What would the best server be for an Brazilian player? NA East would probably be best, but it depends on where you are in Brazil. It might be the EU server. Posted By **Z_ed** at 1:39 PM - Mon Oct 23 2017 > > What would the best server be for an Brazilian player? NA East would probably be best, but it depends on where you are in Brazil. It might be the EU server. What would the best server be for an Australian player? APAC/OCE for less ping or NA-W for large communities and the ability to do less than others due to high ping. Posted By **TheZar** at 4:44 PM - Mon Oct 16 2017 > > What would the best server be for an Australian player? APAC/OCE for less ping or NA-W for large communities and the ability to do less than others due to high ping. What are the differences between these Kingdoms? Are they purely just servers? Just each one have every tribe? Kingdoms =/= Servers They are just social organizations within a single server. Posted By **Ignatios** at 4:05 PM - Sat Oct 14 2017 > > What are the differences between these Kingdoms? Are they purely just servers? Just each one have every tribe? Kingdoms =/= Servers They are just social organizations within a single server. All hail King Raziel the First! Good luck to every kingdom! I'm sure you all will build a great and amazing community, you're doing a great job. 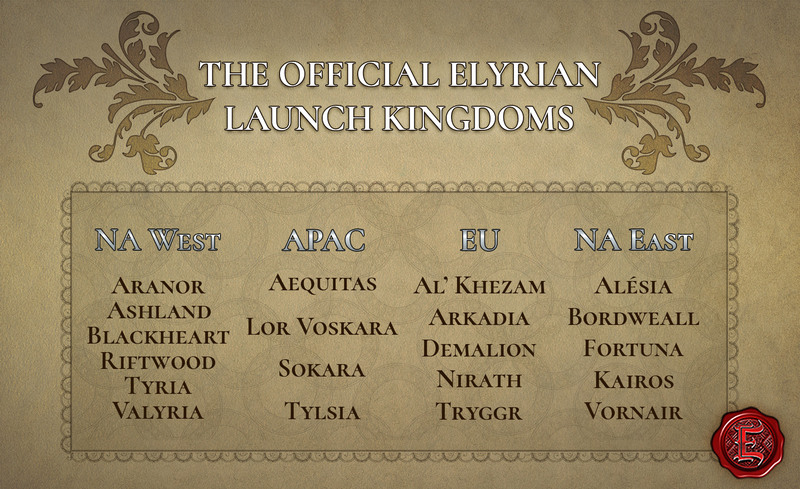 Allright, good to see that kingdoms are now locked down. Hopefully we can get the last monarch spot on Luna filled too! I hope it stays open actually. It'll give us a place to turn into a giant battleground for some fun rounds of capture the kingdom amongst the starting 4. It'll be like CTF, but with more blood and intrigue. Posted By **Rofus** at 04:32 AM - Wed Oct 11 2017 > > Allright, good to see that kingdoms are now locked down. Hopefully we can get the last monarch spot on Luna filled too! I hope it stays open actually. It'll give us a place to turn into a giant battleground for some fun rounds of capture the kingdom amongst the starting 4. It'll be like CTF, but with more blood and intrigue. Super excited. I can now figure out which kingdom to take my Countess title to on the NA East Luna server. Been a backer since the Kickstarter. I am considering NA West as well if I find a kingdom goals I like most. I have been kinda out of the loop for several months. Ooooo exciting! ¡Únete al Reino de Nirath! ¡Larga vida al Rey Dragor! - Translation: Join the Kingdom of Nirath! Long live King Dragor! Long live the great bearded king of Karios, Thared! Azeron (King Matthias) picked Valyria for his kingdom name? or was there a server scramble I missed? Yes on both, there was error initially but it was corrected by Kaizen. Posted By **Corin** at 8:22 PM - Mon Oct 09 2017 > > Azeron (King Matthias) picked Valyria for his kingdom name? or was there a server scramble I missed? Yes on both, there was error initially but it was corrected by Kaizen. Posted By **Kaizen** at > > ### Bordweall > > * Discord: [https://discord.gg/e35AjNE](https://discord.gg/e35AjNE) Uh oh, I think there's a problem with the Bordwheels link : ######Mod Edit- Nothing is wrong with the link see [this post](https://chroniclesofelyria.com/forum/topic/21968/the-official-launch-kingdoms-of-elyria?page=2#post244711) ! [https://i.imgur.com/1yxLvUM.png](https://i.imgur.com/1yxLvUM.png) Shield strong walls!!!11!!11!!! 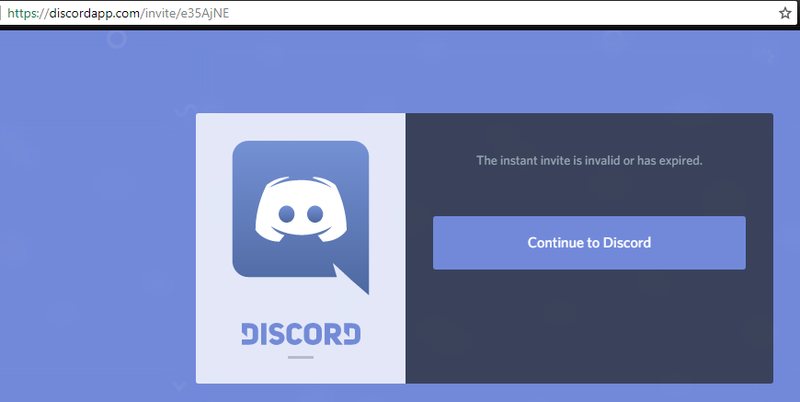 Posted By **HolyAvengerOne** at 7:12 PM - Mon Oct 09 2017 > > Posted By **Kaizen** at > > > > > ### Bordweall > > > > * Discord: [https://discord.gg/e35AjNE](https://discord.gg/e35AjNE) > > Uh oh, I think there's a problem with the Bordwheels link : > > ! [https://i.imgur.com/1yxLvUM.png](https://i.imgur.com/1yxLvUM.png) > > Shield strong walls!!!11!!11!!! Link is fine but you're still banned =/ Maybe King Dleatherus can help you with that..
Fortuna greatest kingdom in the world. All other kingdoms are run by little girls. Fortuna number one exporter of potassium; all other kingdoms have inferior potassium. If you're looking for information on Kairos, feel free to reach out to myself, Thared, Illaria, Kenrik, or Muniin for more information. Boardwheels!!! Shield strong walls !!!! Showing my loyalty to King Einar of Riftwood.